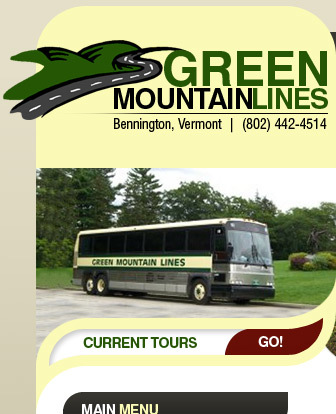 Green Mountain Lines LLC is a charter and tour company providing you with reliable transportation for all of your group's needs! Owner Joseph Antignani opened the business Oct 2004 with the purchase of a luxury 47-passenger motor coach. Please take a few minutes to review our safety rating, some of our current tours and see what some of our customer's have said about us. Thanks for visiting and we hope to have your group book a tour with us soon!